This Nagamori belongs to Jyo saku ranking. 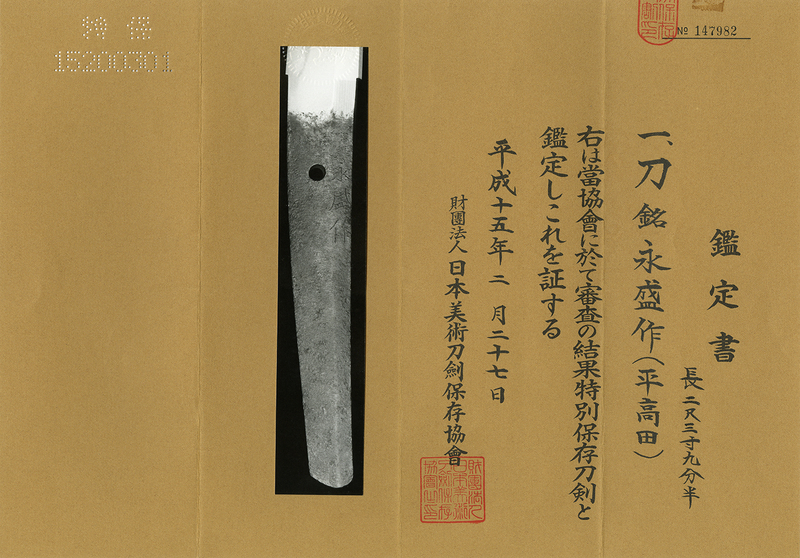 Width at the hamachi : 3.37 cm or 1.32 inches. and thick with deep sori and longer kissaki nice looking shape. On both sides of the blade has Bo-hi. Hamon : Niedeki Cyoji midare hamon with ashi and yo. Boshi is midarekomi round shape. which was workend at late Muromachi period. 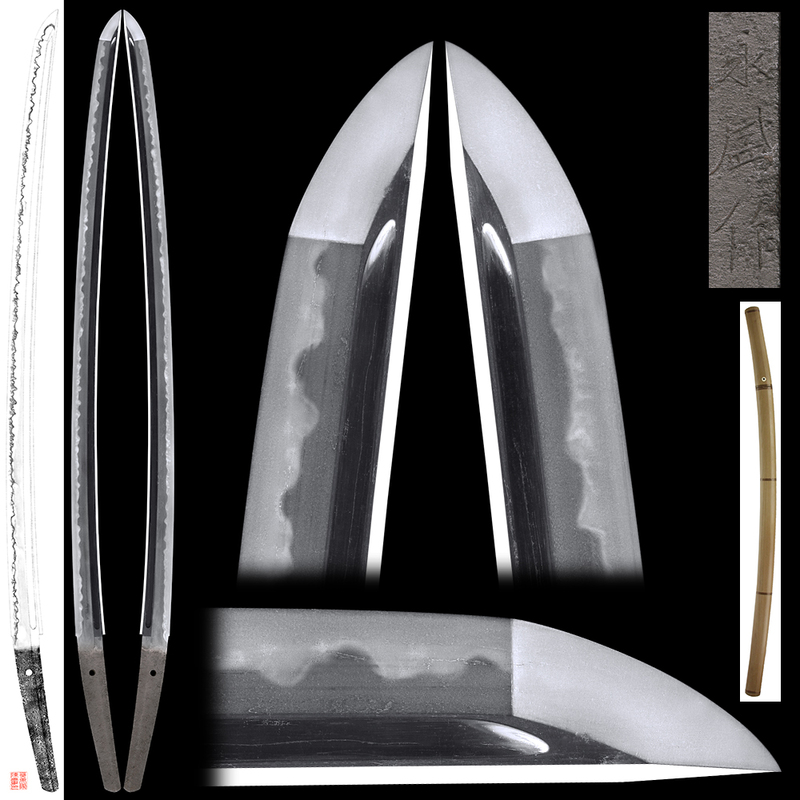 The Hamon is very similar with Bizen school. There are small Kizu and flow but not serious. which has kept in good condition.